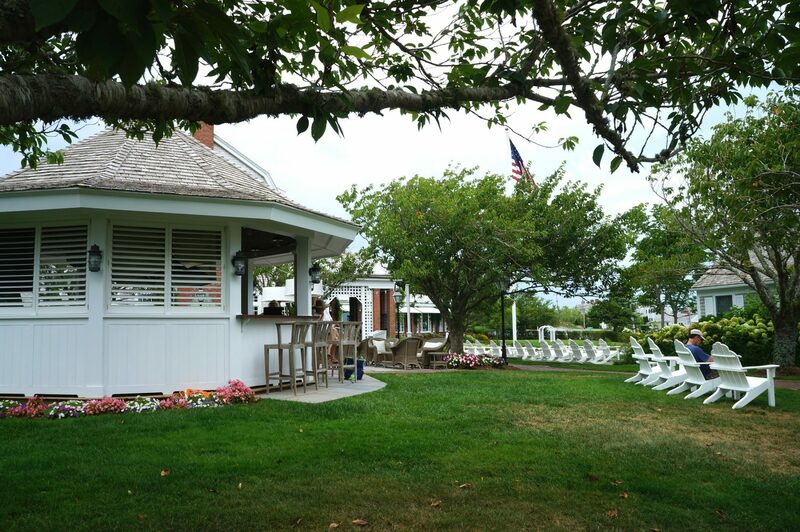 As the days get cooler and we’re almost ready to say goodbye to summer, I find myself reminiscing about my August trip to Cape Cod and a wonderful stay at Chatham Bars Inn. 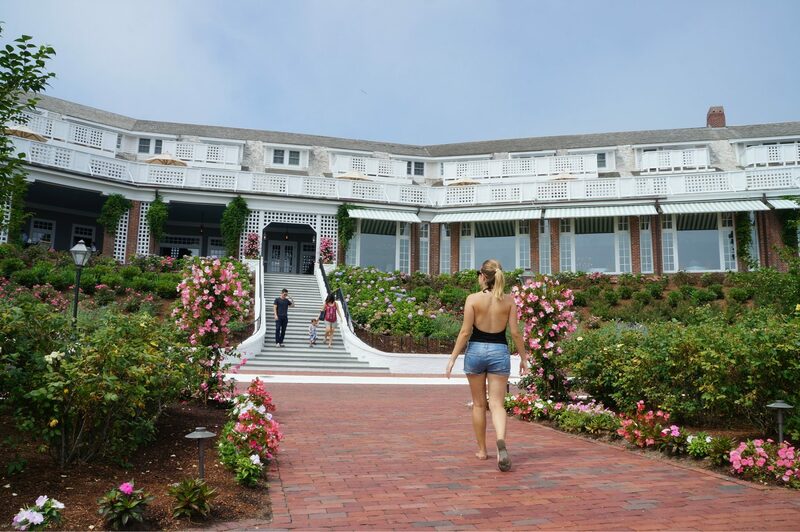 Since it was my second time staying at this New England resort, I thought it’s time to share a few of the many things I love about this place. First things first: The location. Chatham is a small town in Massachusetts located about an hour and a 1/2 away from Boston. 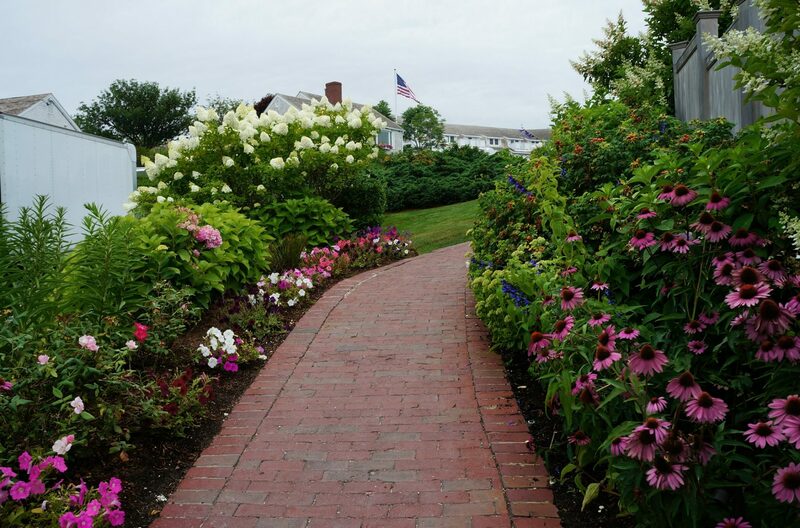 Think beautiful New England architecture (white exterior, colorful doors, window frames), hydrangeas here and there, the ocean, great sea food (clam chowder and lobster on a daily). 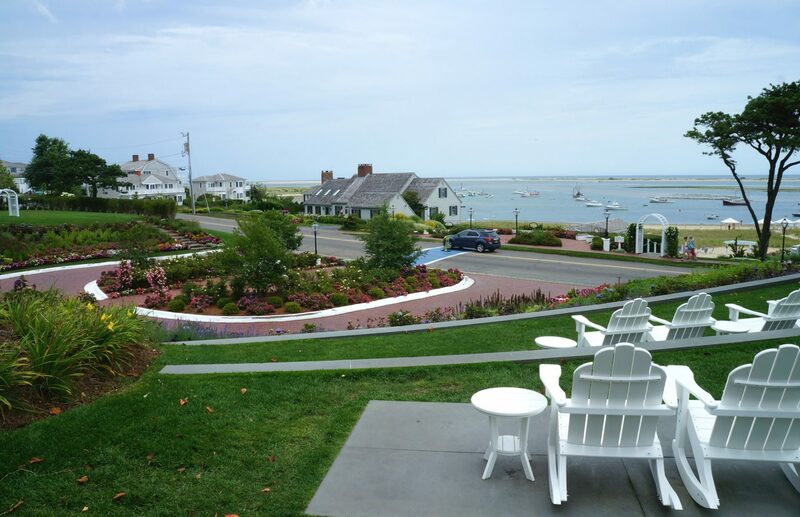 All of this and more is what makes Cape Cod so attractive and worth visiting. 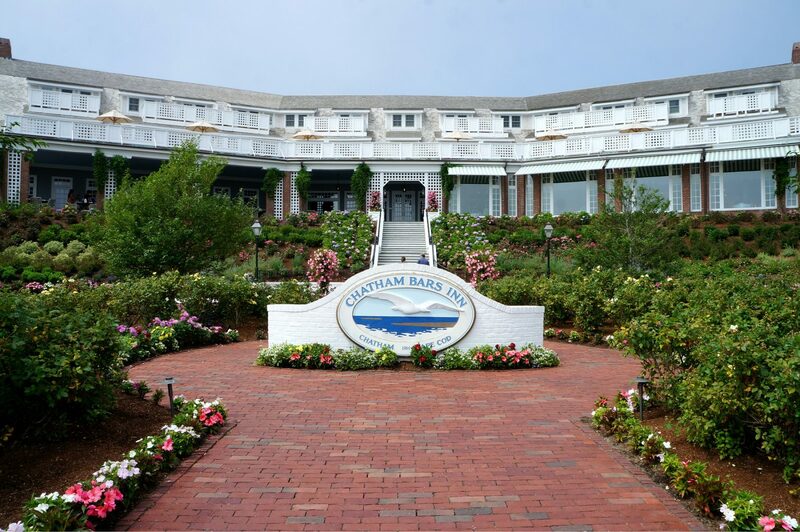 Chatham Bars Inn Cape Cod resort was established in 1912 and a lot changed since then. 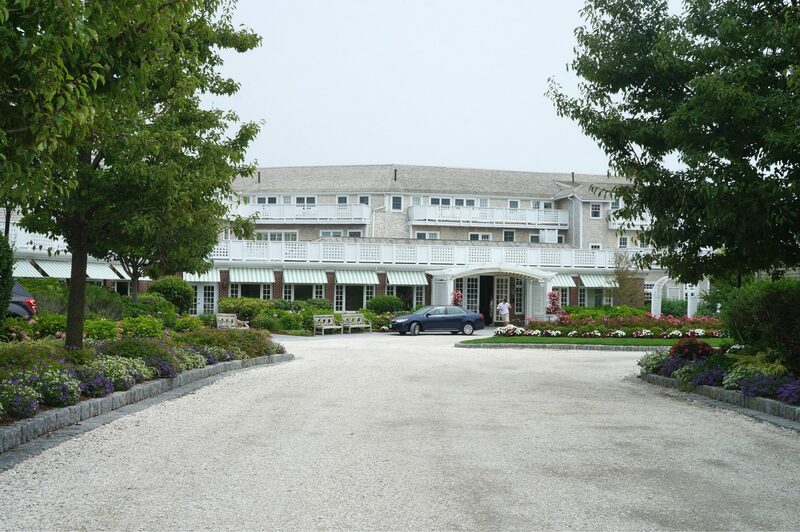 If you ever happen to be in Chatham, you’ll notice that the resort is so big, it basically IS the town now. It’s almost hard to tell what’s still a part of the resort, and what are already the private residences. The outdoor bar! Our cottage opened to this fun and lively space. And before you think it’s too much to have a bar right outside your door, no worries. Kids won’t be bothered when it’s bedtime, the place quiets down at a reasonable hour. Regardless, before it does, you get to enjoy a dinner/ drinks al fresco, live music and a wonderful company! Isn’t it what life is about?! 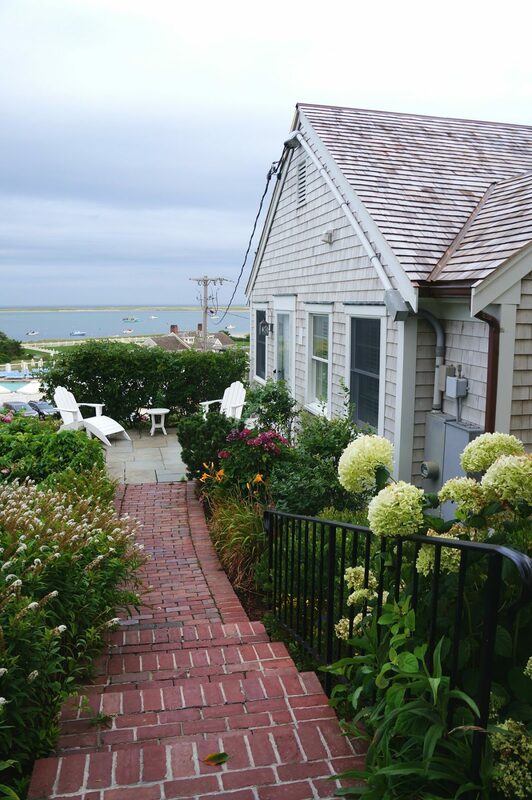 One of the cottages overlooking the ocean and the pool area. 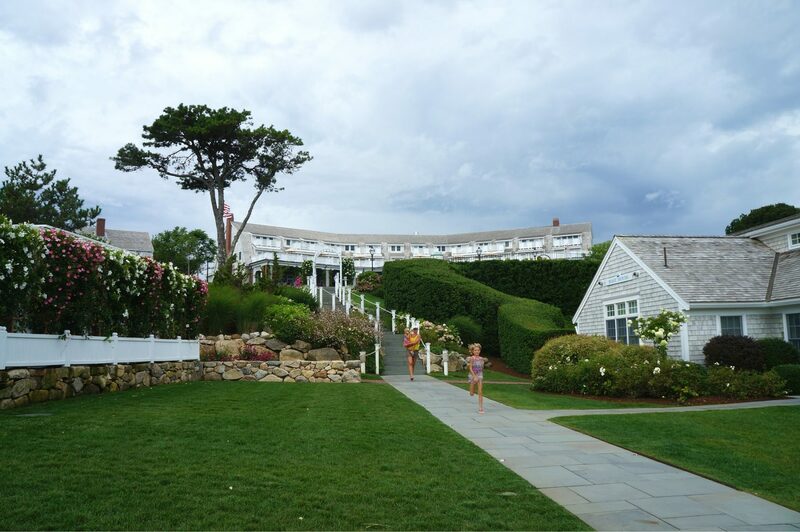 The first few days of our stay at the Chatham Bars Inn Cape Cod resort we had quite a foggy, rainy weather. I wasn’t upset about it at all, since I was expecting a lot more humid East Coast air. Here wearing a sweater from Kohl’s, H&M tee and Hot Kiss denim shorts. A walk to the main part of the resort. We often had lunch/ dinner at the patio with an incredible view. Resort living calls for denim shorts and swimsuits on a daily! I love this scalloped Old Navy swimsuit, because it works perfectly as a top and it’s hard to tell I’m actually wearing a bathing suit. A walk down to the beach. Another option for dining al fresco. 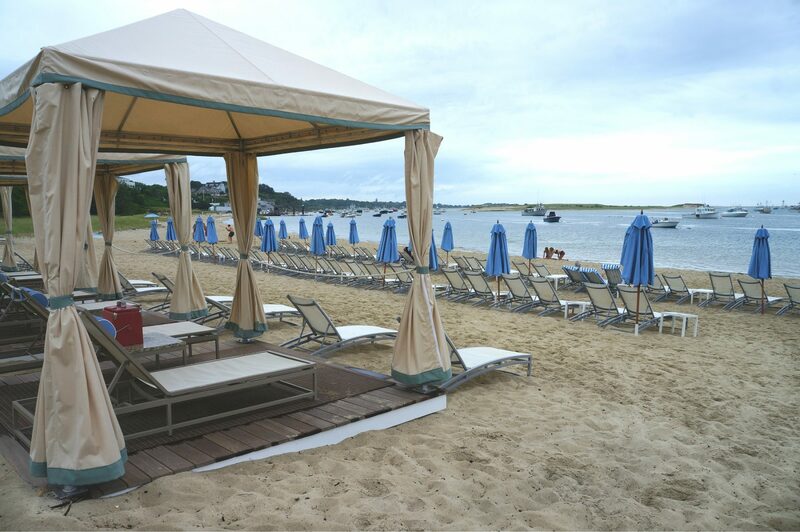 Bring your kids down here so they can play in the sand while you get to enjoy your dinner. The resort also offers many activities for kids and adults at this space. 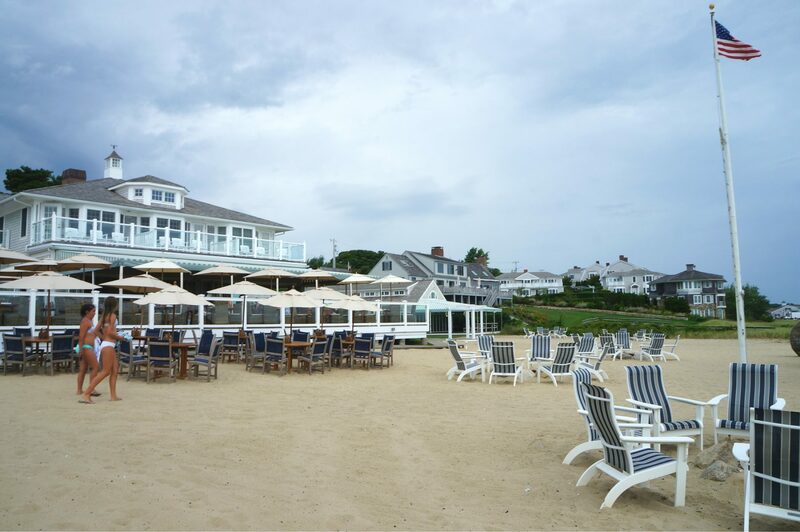 Clam bake, s’mores and live music are just a few of them. Speaking of kids, there are many camps available for them as well. If you find yourself in need of some alone time, you can take advantage of this “day care” option. 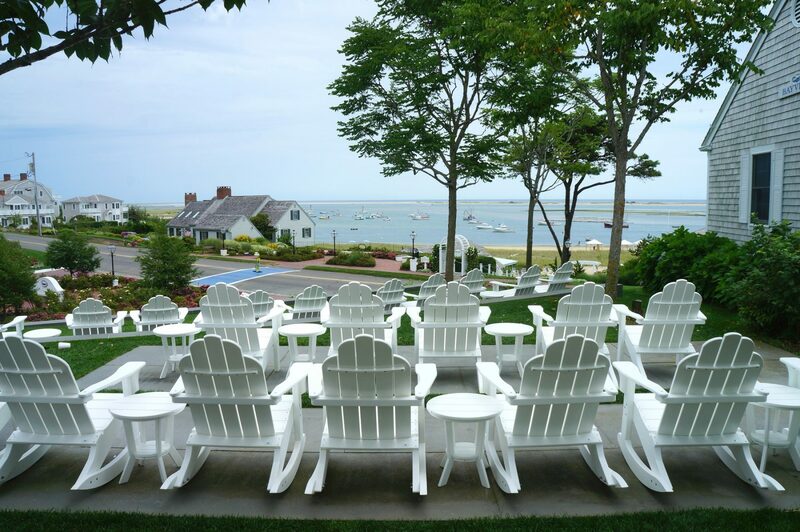 I’d say Chatham Bars Inn Cape Cod resort is a family – single – newly engaged – married friendly place, so it can be truly enjoyed by everyone. 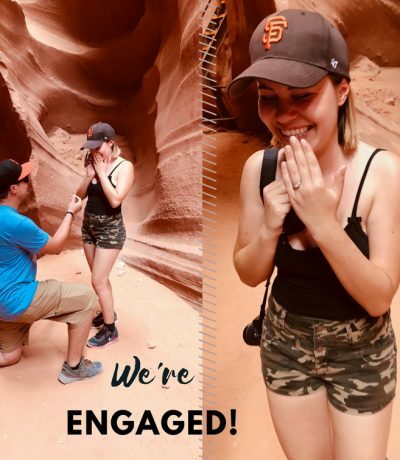 In fact, there wasn’t a day when I didn’t see kids playing, people getting married, having their professional family photos taken or partying it up. I think that says a lot about how versatile this resort can be. Needless to say, I would highly recommend staying at this resort. 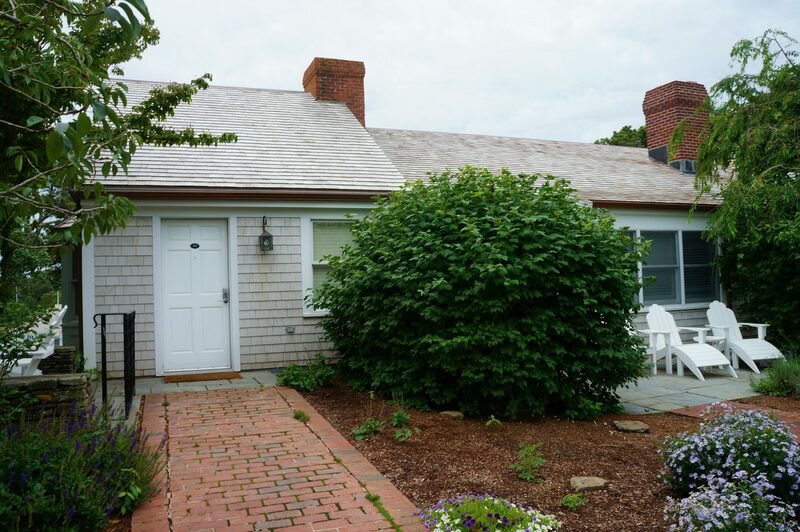 If you ever decide to visit Cape Cod and have more questions about the place, please email me! I will be happy to give you some recommendations. 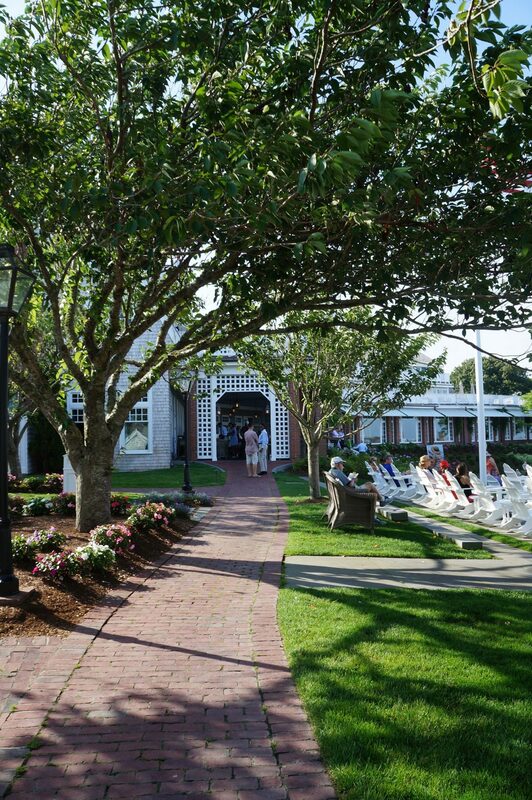 Thank you for having us, Chatham Bars Inn! Ojej, dziekuje bardzo kochana! Pozdrawiam cieplutko! Opis tak bardzo mnie się spodobał, że aż mam ochotę się tam wybrać! szkoda tylko, że Stany są w takim stopniu oddalone od Polski.. 🙁 Miejscówka prezentuje się świetnie! Such a pretty place! I really love the pictures! Ale świetne miejsce, uwielbiam tego typu resorty. Taki klimat dzieciństwa, jak jeździłam w tego typu miejsca z rodzicami. Ale mi się marzy gdzieś pojechać chociaż na weekend, może w październiku się uda. BTW. Świetnie wyglądasz w szortach,masz bardzo zgrabne nogi! this place looks so wonderful! Glad you had a good time despite the weather looking a bit iffy! I know! It was a bit gloomy but then again, I was surprised it wasn’t as humid as I remembered! I know, I want to go back! 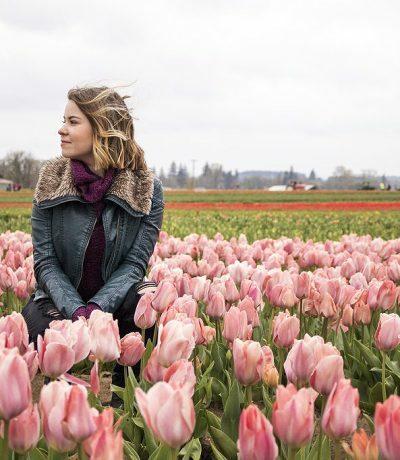 What a cute place to vacay! Love the shots! I swear every little corner was so picture worthy!